Dad puts his arm around Joy’s waist. “Try the coffee first. It’ll make a man of you.” I lift the mug and peer down. Inside’s black as oil, as holes in space, as Bibles. “Violet ground the beans just now,” says Joy. Some stupid part of me says, No, don’t, you mustn’t. The mug’s so wide it covers my nose like a gas mask. The mug’s so wide it covers my eyes, my whole head. 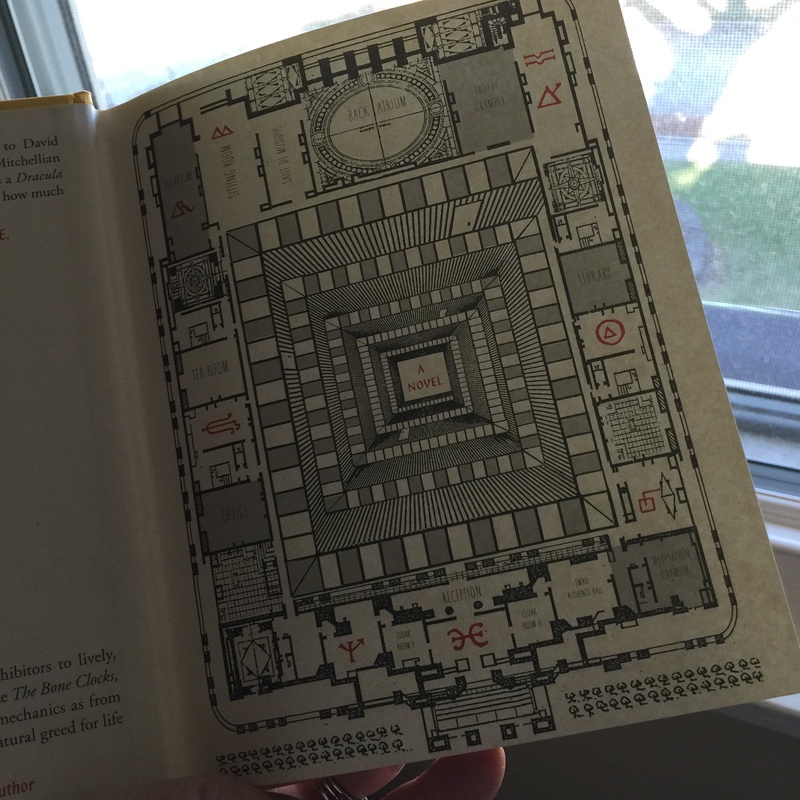 There’s a labyrinthine path inside this novel, a mesmerizing collection of words. While writers, such as Anthony Doerr and Adam Johnson, who tout its worth say they read it in one night, I must take my time. 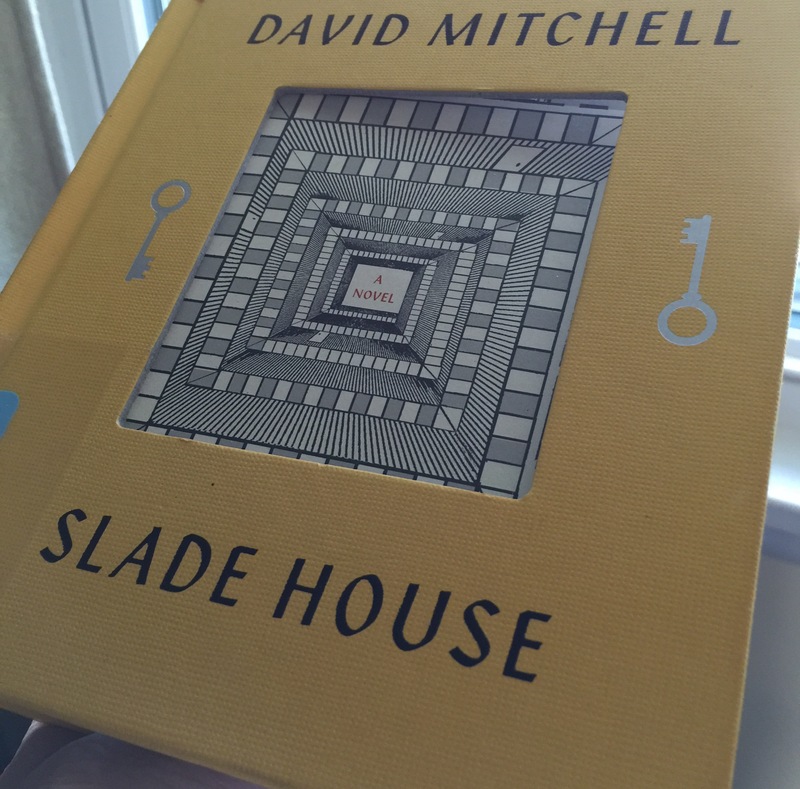 I want to dwell in Slade House, absorb every bit of its atmosphere, every nuance and shadow held in wait for me at each corner. Thank you, Sylvie, for this recommendation. I can certainly see why one would be a fan of his! What imaginative, clever writing! It is so fresh to me, while reminding me of Haruki Murakami in some aspects, he clearly has a perspective all his own. I have not yet read one of Mitchell’s books, but this one is really calling to me. I love the quote you provided! Slade House is quite short, so it may be the one you want to start with. It’s my first book by him (why do I confuse him with David Nicholls?!) and I am absolutely loving it. Mitchell is one of my favourite contemporary writers – he rarely disappoints. Even though I’m not a huge fan of hardbacks, this one is rather tempting. Delighted to hear you are enjoying it! As I mentioned above, this is the first novel of David Mitchell’s that I have read. (Although I own Cloud Atlas.) I can see why he would be a favorite writer with his imagination, perspective and wit. Even the story seems so intricately woven, although I can’t comment on that without having read all of the book yet. I am indeed loving it, and can’t wait to find more of his novels. Thank you dear Meredith, I hope you enjoy Slade House as much as I did. Yes it is a book to be savoured. I am reading ” The Swans of fifth avenue ” a very pleasant surprise. Sylvie, even though I have been seeing it all over best seller lists and the New York Times, it was on your blog that I saw it first. You know how implicitly I trust your opinion, and I’m so glad that I have the book in my little hands now. It is really special, and thank you for suggesting it to us. I have read only a third of the story. You encouraged me to finish it. I like David Mitchell’s writing. I haven’t read very much, either, Edgar. Things like parent/teacher conferences and 12 hour work days keep getting in the way. But, I like Mitchell’s writing so much! We’ll have to chat once we each finish it. Have you read anything else by him? I was moved by that story. I was fortunate to have a library copy on this one…go figure, our library usually has nothing I want to read! I hope you can locate a copy, it is really good. I have the eGalley of Slade House, but the more I read about the more I think it is probably not for me. I hope you enjoy it though. Lucky for you to have the e-galley! Perhaps you are a person who does not like magical realism? Is that what’s keeping you at bay? I have this on my kindle ready to read, and now I’m suddenly rather eager to read it. I just finished this book this week and couldn’t put it down! It was so enthralling.